Like most Americans of a certain age, the day came when The Legal Genealogist got that letter in the mail. The one that welcomed us all into the fraternity of the elders known for short as AARP. The American Associated of Retired Persons, except most of us weren’t, and weren’t even eligible to retire for a long time after we were eligible for membership. Still, many of us joined or at least ended up on the mailing list. Which is how, yesterday, I found myself reading through the “Your AARP: State News” column of the AARP Bulletin for April 2019. Help restore essential African American history by volunteering at the Colored Conventions Project, a collaboration with AARP Delaware. The group, working out of the University of Delaware, has been transcribing 19th-century Colored Conventions documents and bringing them to digital life. The conventions (from 1830 to the 1890s) brought together free and once-captive African Americans to strategize on how to achieve educational, labor and legal justice. After the Civil War, the group worked to ensure citizenship rights and safety. The project needs volunteers to track down essential historic documents so these can be digitally preserved. Now there are two things about this that I just plain love. In many cases, the records known to the project are few — and in some cases the project is actively seeking records with assistance of researchers from around the country. Hmmm… researchers like … um … us. So here we have a real chance as genealogists to spread genealogy’s wings and help with a very significant research project. Anybody anywhere who knows of the existence of relevant records really ought to get in touch with this project, and genealogical societies or groups might want to take a look at the protocol for pulling records together put together by the project for records that should be included. But there’s something else that I really love about this: the opportunity it offers for crowdsourcing historical research beyond just the genealogical community. This is the kind of project that we can use to spread genealogy’s wings into the ranks of those who aren’t — yet — genealogists. So many of us belong to or work with civic organizations and youth groups that are looking for meaningful projects. It’d be hard to think of one that’s better — that’s more in need of careful and caring assistance. 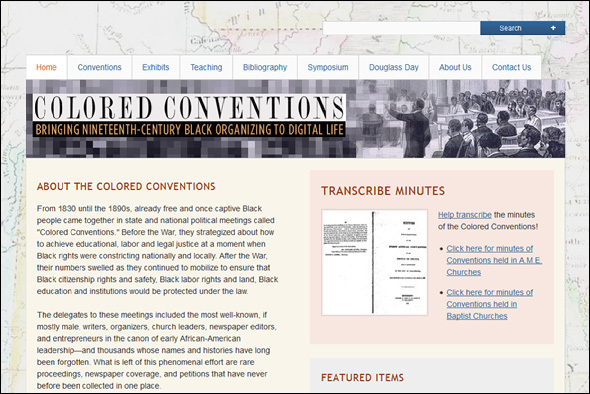 Take a look at ColoredConventions.org — and see if this isn’t exactly what your group needs to spread genealogy’s wings. Cite/link to this post: Judy G. Russell, “Spreading genealogy’s wings,” The Legal Genealogist (https://www.legalgenealogist.com/blog : posted 17 Apr 2019). Thanks for pointing out yet another excellent crowdsourcing effort. I’ve done some work on the “Freedom on the Move” project at Cornell University (https://freedomonthemove.org/) – fascinating and horrifying at the same time, but another very important endeavor to capture all of our country’s history.